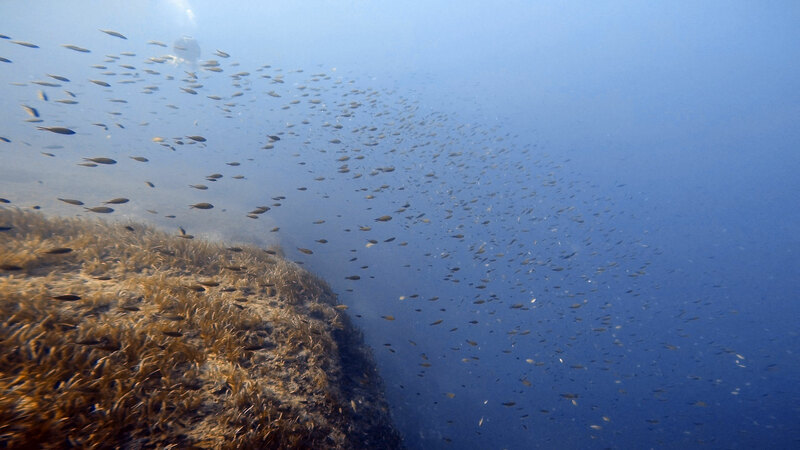 Qawra Reef is an offshore dive site located about 500 m off Qawra Point on the northeast coast of Malta. Qawra Reef starts just before L-Cave and goes out about 300 m to Imperial Eagle wreck and Statue of Christ, and continues even further. The reef top is approximately 15-20 m deep, then a steep drop-off down to 30-40 m, and the sandy bottom slopes down even deeper. Qawra Reef has a nice rough wall with cracks and holes, and a series of big beautiful caves/caverns going inside and under the reef. The cave entrances are wide and the caverns are not deep, bottom made of fine sand is at 29-33 m depth. Outside of the caves there are huge boulders, possibly with groupers around. Barracudas and other larger fish species are often sighted on this spectacular reef. Qawra Reef dive can be done from the shore with a long swim, or from a boat which can anchor very close to the edge of the reef. If diving this site from the shore, beware for boat traffic and carry a DSMB. Qawra Reef is suitable for experienced divers due to its depth. Keep an eye on the depth, time and gas supply. 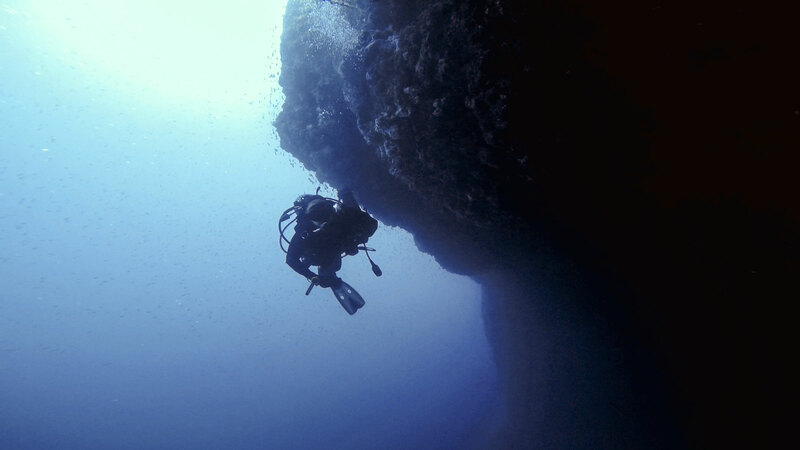 This dive site usually has excellent visibility. 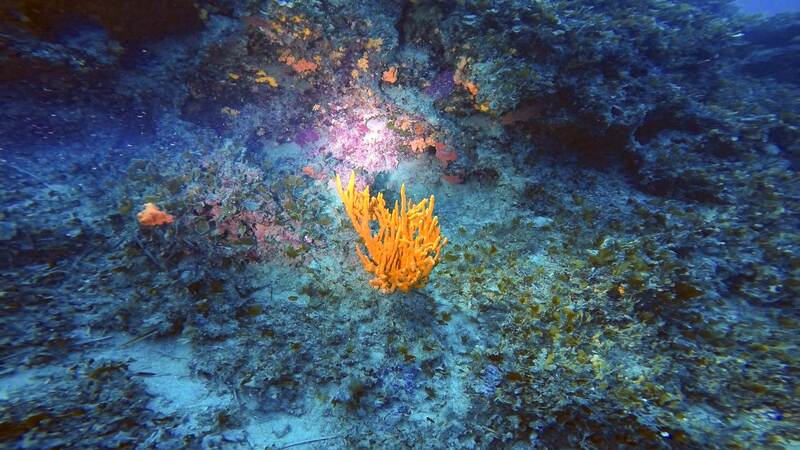 There are occasionally strong currents on top of the reef.